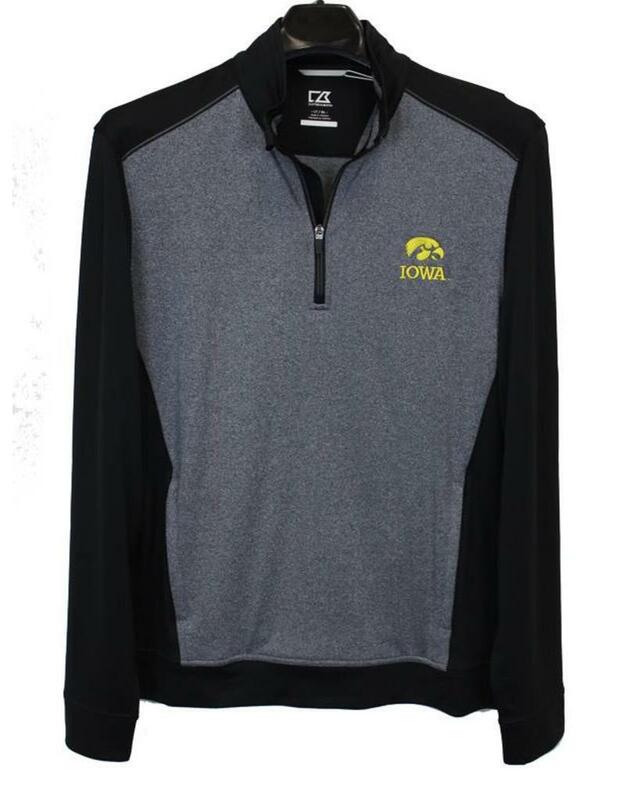 Show your team pride every season with the sporty look of Cutter & Buck's Drytec Replay Half zip pullover, shown here with the University of Iowa Hawkeye logo at left chest. Crafted from 100% polyester interlock with 50+ UPF protection, in a color block design, and banded cuffs and bottom. 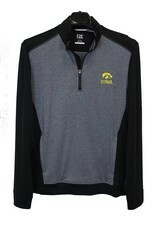 Front slash pockets finish out the details and the half zip opening allows for easy on/off. * Iowa Hawkeye logo at left chest.